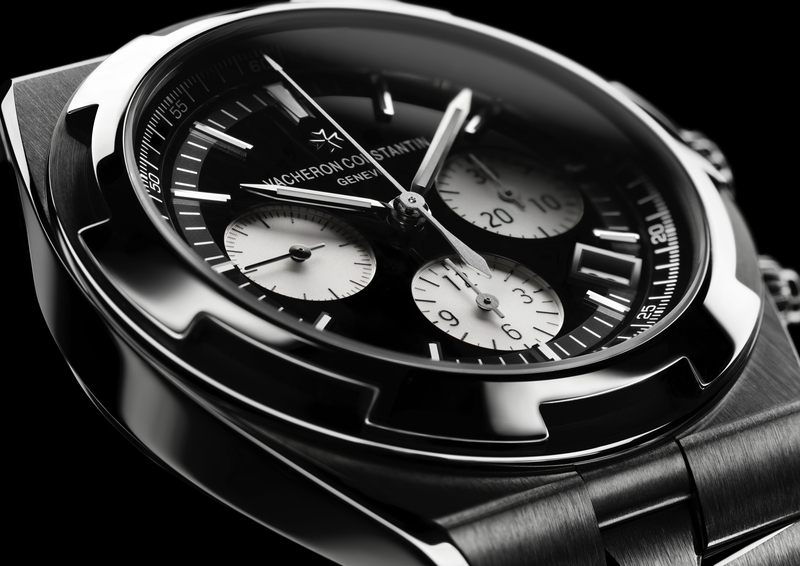 At SIHH 2016 Vacheron Constantin debuted twelve redesigned Overseas references, all featuring a new case shape. 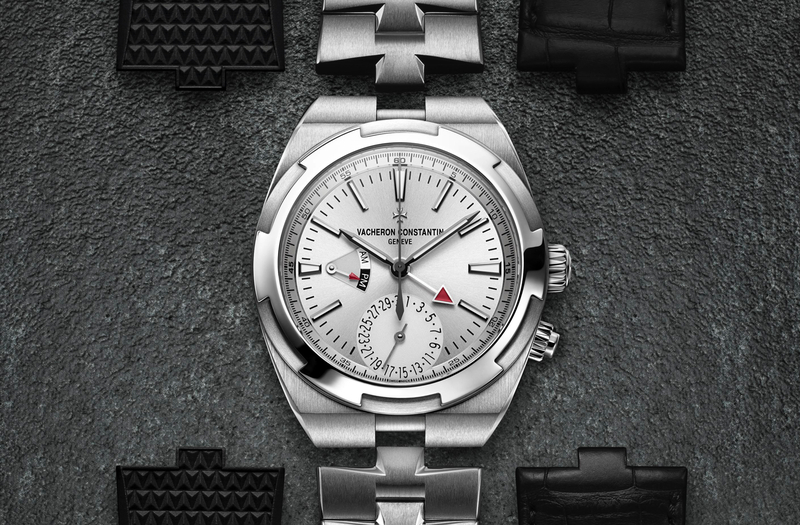 Later that year the Geneva-based manufacture launched the Overseas World Time. Two years later, at SIHH 2018, the company will release three new Dual Time watches. The new Overseas Dual Time is housed in a 41 mm x 12.8 mm stainless steel with a blue or silver-toned dial, or 18K pink gold with a silver-toned dial. All versions are equipped with Vacheron Constantin caliber 5110DT. As with its predecessor, you can read two time zones simultaneously, including a day and night indicator for the home time, denoted by the fan-shaped “AM/PM” display at 9 o’clock. The primary central baton-shaped hour hand indicates “local time” (where you are currently at), and the shorter arrow-tipped central hand indicates “home time” (typically set to the time at your home location for reference). The setting of the time zones is controlled by the crown at 3 o’clock. Position 1: controls the local time with a jumping hour adjustment. Position 2: controls the home time, as well as the dragging adjustment of both timezones and minutes. The day/night indicator is synchronized to home time. The screwed crown at 4 o’clock adjusts the pointer date that is visible at 6 o’clock, and this is synchronized to local time. 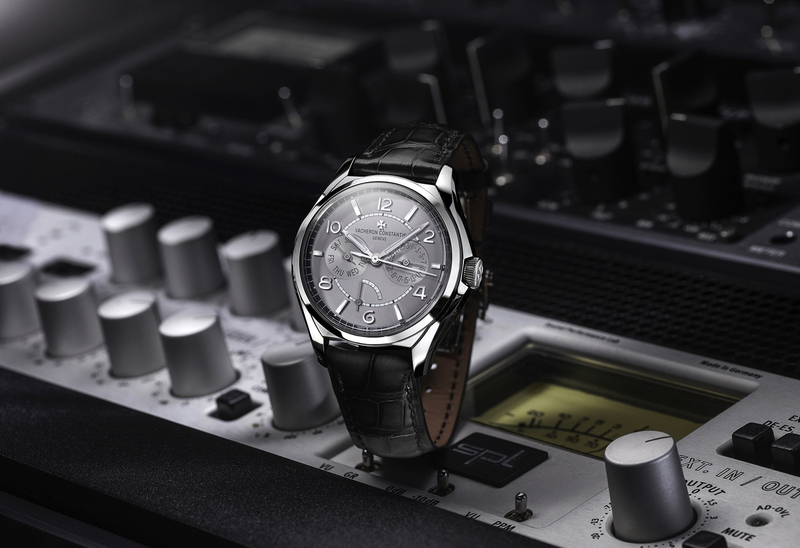 Vacheron Constantin automatic caliber 5110DT beats at 4Hz, has 234 components, 37 jewels, and measures 30.6 mm x 6 mm. 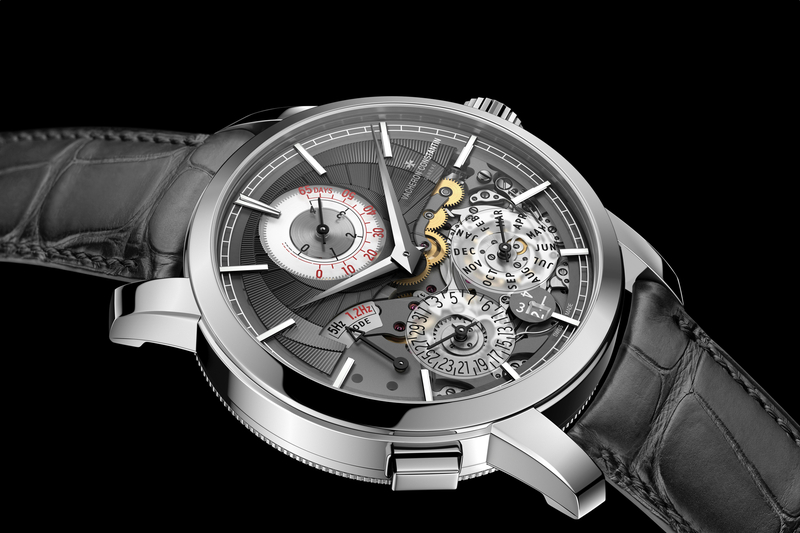 It features a 60-hour power reserve and a 22K gold oscillating weight (adorned with a wind rose). Each dial features a sunburst finish with velvet finished flanges and hands and hour markers in polished 18K gold. Water-resistance is 150 meters. All versions come with three quick-release interchangeable straps: rubber, leather, and metal bracelet. The retail prices are $24,700 in steel and $39,500 in pink gold.